Another tournament for the 4e_Erik_Hussars to lose. 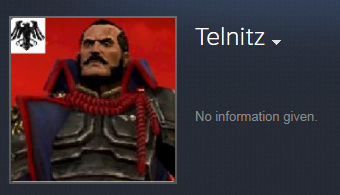 Spelling it as 4e_Erik_Hussars is invalid, because "4e" itself already contains an "Erik". 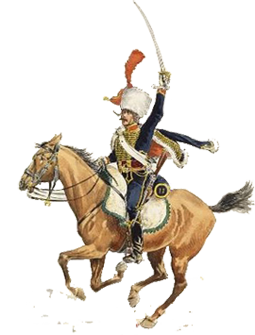 "4e_Huss", contrary to what ppl think, doesn't stand for "fourth" (regiment of hussars) but is rather a smart acronym of "for Erik, hussars!". For(4)(e)rik_huss(ars)! Thus, it simultaneously forms a tag, a motto and the regimental creed. Today, we present you with the first invited team of the Cavalry Champions League, the 11e Régiment de Hussards. There might be several typos and/or incoherences in the text, English wise, which I apologize for. If you notice anything, feel free to let me know but I don't think it should prevent you from enjoying the article either way. With this, you should have a clearer idea of what we want to introduce with the CCL in term of media content. I wish you good luck, even if it already looks well done ! Today, we present you with the second invited team of the Cavalry Champions League, the 2. Leib-Regiment. Of course it's not filled with superstars. It's filled with legends. They missing the one and only true legend though. The Husaren-Regiment Nr4 was created in July 1st 2017 by Felix. In a time where the German community was already heavily represented by two famous regiments, the 2Lr and Nr6, the Nr4 managed to accomplish the difficult task of establishing themselves as a serious representative of their country among the cavalry community. In that sense, the Nr4 followed the most successful formula which can be found for an NW regiment. They started from the bottom and took things steps by steps, spent countless hours training newcomers, forming a core of dedicated and skilled players and gradually facing stronger opponents one after the other.